As an increasingly obvious need for change fixes itself at the forefront of people’s minds, sustainable development is becoming the hot topic of the global community. The concept itself is not new: the most widely used definition for sustainable development dates from 1987, when Norway’s then Prime Minister Gro Harlem Brundtland spoke of it as “development that meets the needs of the present without compromising the ability of future generations to meet their own needs”. However, the hype surrounding the consolidation of the sustainability defined by Brundtland as the path to follow in global development is fairly recent. According to Werbach (2009), until the 1980s the word sustainability was seen as a company’s ability to increase its earnings steadily. After Brundtland and in the face of factors such as widespread conflict, poverty and climate change, it has become evident that it is not sufficient to ensure a growing flow of income, but that true sustainability tackles social, economic, environmental and cultural issues, in hope of shifting the world “onto a path of inclusive, sustainable and resilient development” (Clark, 2015). Currently, there are heaps of information regarding sustainable development on the internet. And while this information is precious in understanding how and why sustainability should be the common north of the human race in all fronts, it can also be overwhelming. So here is this post to guide you through the woes of finding out what sustainable development is, what is being done globally to make it the norm and how you can make of sustainability your way of living. Sustainability, as defined by Thwink.org is “the ability to continue a defined behavior indefinitely”. This might sound vague, but all the pieces come together when sustainability is dissected in its three pillars: economic, environmental and social sustainability. Environmental sustainability is the ability of maintaining non-renewable natural resources above depletion levels, as well as engaging in the harvesting of renewable resources and curbing pollution creation in a way that can be continued indefinitely. Environmental sustainability essentially means protecting and restoring the planet from the abuse it has endured since the beginning of industrialization, by adopting measures that prevent the generation of waste and pollution and encourage responsible use and restauration of resources. Economic sustainability entails supporting a defined level of economic growth indefinitely. The pinnacle of economic sustainability would then be ensuring that all people are able to meet their economic needs –whether it be food, shelter and other basic services for individuals and family or the generation of profit for companies. Social sustainability encompasses a society’s ability to function at a defined level of well-being, for both present and future generations. The social component of sustainability, according to Werbach, entails addressing problems that affect us all, like poverty, crime, public health and education. Werbach adds a fourth essential component of sustainability: the cultural component, whose purpose is to “protect and value the diversity through which communities manifest their identity and cultivate traditions across generations”. WHY IS ENVIRONMENTAL SUSTAINABILITY SO IMPORTANT? If you check this article we did on the 17 Sustainable Development Goals, which are framed in the UN’s 2030 Agenda for Sustainable Development, almost all goals address the climate change issue in a way or another. Have you wondered why? In other words: we take care of the environment now or there will be nothing left to take care of. And contrary to popular belief, the future in which this happens is not too far away. People are already losing their houses, their crops and even their lives to catastrophes caused or worsened by anthropogenic climate change and pollution. The Asian monsoon is becoming increasingly erratic, China is seeing an outbreak of respiratory diseases due to its carbon-black skies and thousands of people have lost their lives, their belongings or those dear to them in flash floods and wildfires. We are already living the woes of a sick world, and it is only set to get worse from now if measures are not taken to harness and repair the damage. There will not be a discourse on whether the “we are not inheriting from our parents, we are borrowing from our children” rhetoric is right or flawed, because there will be nothing left to give them. They will not be allowed to live, as what we are facing is not only a depletion of our natural resources, but a scenario where Earth can no longer support our form of life and that of all the other species. As said by Paul Hohnen (2012): “We need to understand that these [disruptions in the planetary systems] are not irrelevant or remote developments that might only affect, say, one kind of insect in a rainforest somewhere. These are changes that will sooner or later affect every species on Earth. It is essential to keep in mind that our current political, social and economic systems are built in a healthy and self-replenishing ecosystem. The sooner our political and business models incorporate this reality, the sooner we can put ourselves on a sustainable path”. An apt definition for sustainable development which incorporates what was said above, is “a comprehensive approach to promoting development in ways that do not harm the environment or deplete natural resources so that they still will be available in the future” (Globalization 101, W/D). Essentially, sustainable development is doing more with less and ensuring the continued health of the ecosystem, in order to improve living standards and the quality of people’s lives, now and in the future. Sustainable development approaches everything in the world as being connected through space, time and quality of life, says an article on SustainableDevelopmentInfo.com. We humans are very good at pretending we are alone in the world, that we live under a dome and that nothing someone else does can reach us, and vice versa. In reality, an individual is affected by the actions, good and bad, of everyone else, alive or dead. Our ancestors molded the world as we know it and we will leave a world for our children that will have our imprint on it --in this sense, it is important to develop and implement policies and frameworks that allow us to utilize the resources available to us in a manner that promotes growth, justice and well-being for all, without disregarding future generations and those in need. In a broader sense, sustainable development relies on the same three axis sustainability does: environmental, social and economic sustainability. However, these categories can be broken down into more specific ones that are easier to tackle. As such, sustainable development is discussed in all possible fields: architecture, politics, energy, agriculture, transport, culture etc. Down below you’ll see how the implementation of sustainable development is sought in these areas to improve the quality of life for all. They are set of 17 issues to tackle, develop or improve upon, which are framed in the 2030 Agenda for Sustainable Development. The goals were selected after an extensive consultation process carried by an open working group comprised by representatives from 70 countries, and a series of global conversations and surveys moderated by the United Nations. The team produced a draft, which was discussed until the final Agenda was agreed upon on August 2015 and adopted by world leaders at the United Nations Sustainable Development Summit on September 25th, 2015. The 2030 Agenda for Sustainable Development seeks to end poverty, fight inequality and injustice and tackle climate change by 2030. End hunger, achieve food security and improved nutrition, and promote sustainable agriculture. Ensure access to affordable, reliable sustainable and modern energy for all. Build resilient infrastructure, promote inclusive and sustainable industrialization, and foster innovation. Conserve and sustainable use the oceans, seas and marine resources for sustainable development. Protect, restore and promote sustainable use of terrestrial ecosystems, sustainable manage forests, combat desertification and halt reverse land degradation, and biodiversity loss. 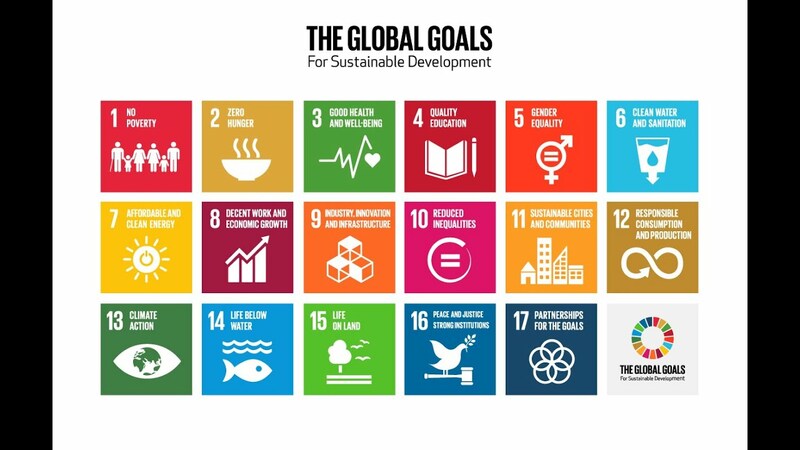 The Sustainable Development Goals are a very ambitious project, involving the global community. And they are costly too. An estimate of $66 billion will be spent annually in “providing a social safety net to eradicate extreme poverty”, while the annual amount to improve infrastructure globally is estimated at $7 trillion. The goals will be funded through public finance and aid, however, money generated from the private sector in the shape of tax reforms and dismantling illicit financial flows will be fundamental in making enough money to achieve the goals before 2030. SUSTAINABLE LIVING: HOW CAN I MAKE OF SUSTAINABLE DEVELOPMENT MY LIFE PROJECT? First off, you should take note that living sustainably under today’s standards is not only living green. While it is a nice big step to ditch the plastic bags at the supermarket for the reusable ones and to build determination to cycle everywhere, there is more to sustainability than being the poster child for wellness. Simplifying: De-clutter your life from things and activities that do not satisfy you or have added value for you. Get rid of things (including mental) you no longer need or want. Taking a full inventory: Create a thorough inventory of your purchasing choices and identify those that do not serve you any purpose. Determine your current eco, carbon and water footprint and make a note for later comparison. Finally, do a consumption, waste, recycling and transportation inventory to get a clear picture of what you can cut back, what is not necessary and what can be improved upon by switching to a more sustainable option. Set goals for yourself and do regular check-ups. Make of sustainability a lifelong commitment. It is also important that you engage in your community, inform yourself on your representatives and their plan of action, exercise your right to vote and enroll in volunteer programs. This will broaden your perception of what is going on around you and will help you make more conscious, informed decisions. Psssst, if you are not prone to activism and are rather a couch potato with a conscience, check out the UN’s The Lazy Person’s Guide to Saving the World.